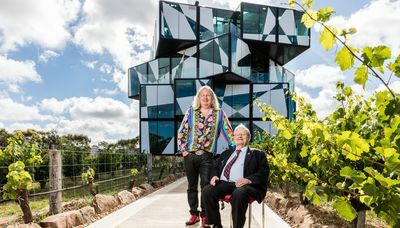 We are thrilled to share the exciting news that this week the d’Arenberg Cube will open its doors to the public. At the weekend a group of excited guests witnessed the cutting of the ceremonial ribbon by Premier of South Australia, Jay Weatherill. The five storey building appears to float over the vineyard. Access is via unique folding origami doors, and each level has spectacular views overlooking the rolling hills of Willunga. Inside is the stunning cellar door, a restaurant, private function areas and an eclectic collection of artworks spread throughout the building, details of which can be found in d'Arenberg's new smartphone application, ‘The Alternate Realities Museum’. 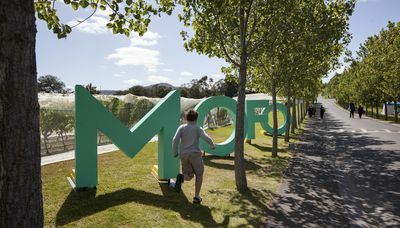 From Thursday 14th December the building is open to the public, the cellar door is operational seven days a week, from 10am to 5pm. A $10 entry fee includes a standard tasting experience, with the option to upgrade to one of several premium tasting flights. The restaurant is accepting bookings from Thursday 14th December. Open for lunch from Thursday to Sunday, the kitchen offers seasonally changing degustation menus, with an extensive wine list. Two levels of degustation dining are available, priced at $150 and $190, with different levels of wine matches for both, including a non-alcoholic pairing. 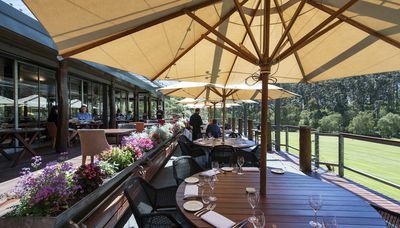 The existing restaurant on the property and McLaren Vale institution, d’Arry’s Verandah, will continue to serve lunch daily, offering both a la carte dining and degustation options. For more information about the experiences offered or to make a restaurant reservation, visit darenberg.com.au, call +61 8 8329 4888, or email bookings@darenberg.com.au.